Play this game for free and purchase additional gameplay, virtual items, powerups, or other fun extras within the game to enhance your experience. 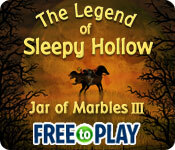 The Legend of Sleepy Hollow: Jar of Marbles III - Free to Play is rated 3.4 out of 5 by 32. Rated 5 out of 5 by jewgirl952 from Have to figure things out I've had to figure things out as I go, not seeing too many instructions on how to do things and why things occur. I'm catching on, but still don't understand why every so often it looks like a breeze goes through the marbles. I wonder where I can find instructions that explain things like that. 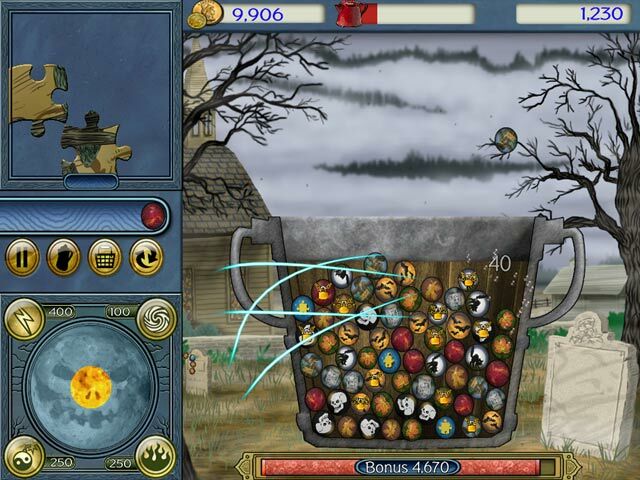 Rated 5 out of 5 by Nutty_Buddy from Highly Addictive! So very ADDICTED to this game! My normal routine is to play a few levels of a game then switch to another game & so on, but I've found myself playing this game for a couple of hours at a time! Love having two game modes - story line and quick play with easy, med. & hard as well as beat the clock & clear jar choices. GREAT GAME! Want more like it! Rated 5 out of 5 by gerirow from Very Addictive I absolutely love this game. I can play it for hours without getting bored. The graphics are great and the music isn't too bad. It's a great way to pass the time. Rated 5 out of 5 by carolinacat from Relaxing but challenging game I love this game. It's one of my favorites. 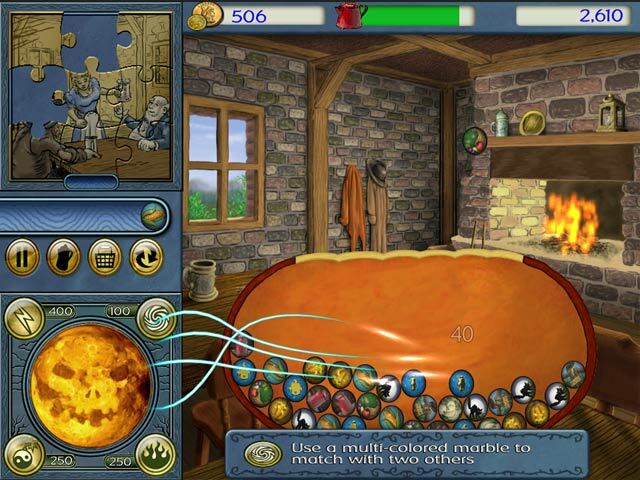 The graphics are clear and bright and this one is much better than Jar of Marbles I or II. I don't mind paying a bit for a long time of playing. I have this on my android tablet and when I want my eyes to rest up from allergy season, I use the PC download to play. You get to use your skills as you learn where to drop the marbles the best. You can't lose and that's a plus. No timer. You can replay any screen. I am now continuing the journey to get three stars on each screen, and you only have to play to get a star. Twice - two stars, three times - three stars. That makes 72 levels to play, which is great for a small sum. I love the New England look of the graphics since that's my home area. I can't wait for the next one to come out. They keep getting better and better. Rated 5 out of 5 by bek42 from very addicting, but not totally free I loved this game, it was very addicting. the graphics of the marbles were great, nice to look at. I was disappointed that it really wasn't a free version, after every cleared basket of marbles it asks you to buy coffee for 3.99 for the farmer. I waited for awhile to make sure i loved the game. after that was determined i did buy the game and played all the way through It is a great match 3 game and i'm glad i bought it. It is not really free though. Rated 5 out of 5 by friday2012 from A VERY GOOD MATCH 3 This game is a lot of fun and challenging too. The art is very well done and the story fun. Rated 5 out of 5 by kissyface78 from Free To Play review I enjoy this game!!!!!!!!!!!!! 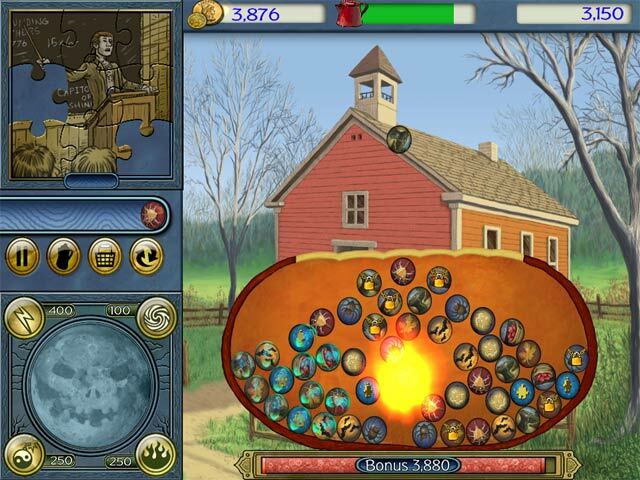 Rated 5 out of 5 by ljlj44 from Fun Match Three Game I enjoyed playing this game. While matching marbles solving puzzles. Rated 5 out of 5 by Lildballe from A really good match 3 game. :o) I have absolutely nothing to complain about! The best match 3 game I've played for a very long time.